1. You have to have something they want. You must not force it on them. 2. You have to be authentic. Tell the truth. 3. Your story has to be so remarkable that people want to tell your story to others. Whilst the principles of marketing have remained largely the same for some time, the execution, planning, tools and techniques have significantly evolved over recent years. In this A to Z, I’d like to cover some of the fundamentals of Marketing Strategy as well as touch upon some of the newer terms and techniques used in today’s marketing toolkit. Advertising is used to describe the whole creative process of communicating a message. This message can be about the social or commercial benefits or the characteristics of a particular product or service. Advertising has evolved into a vastly complex form of communication, with literally thousands of different ways for a business to get a message to a prospective customer. Examples include broadcast (e.g. TV & Radio), print (e.g. magazines and direct mail), outdoor (e.g. billboards and street furniture) and social media (e.g. facebook and twitter). 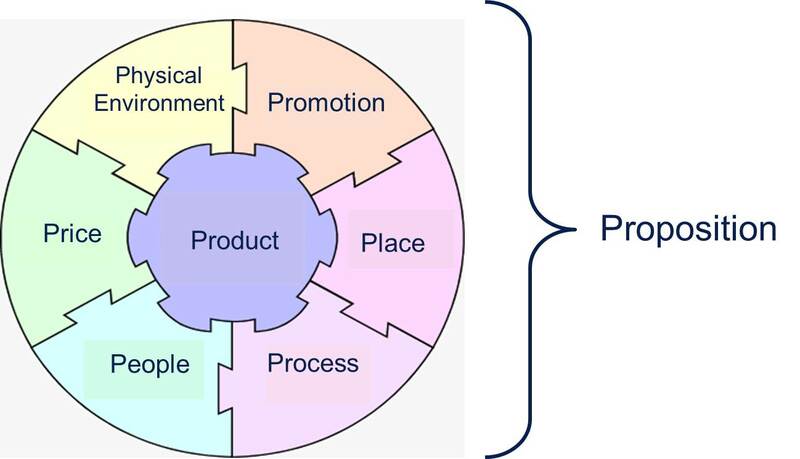 The process of advertising (or marketing communications) is used to acquire a customer, to keep the customer, and to satisfy the customer’s need (want or desire) for the particular product or service. A brand encompasses the sum total of how a business, product, or service is perceived by those who interact with it. For employees, it represents their pride in belonging. 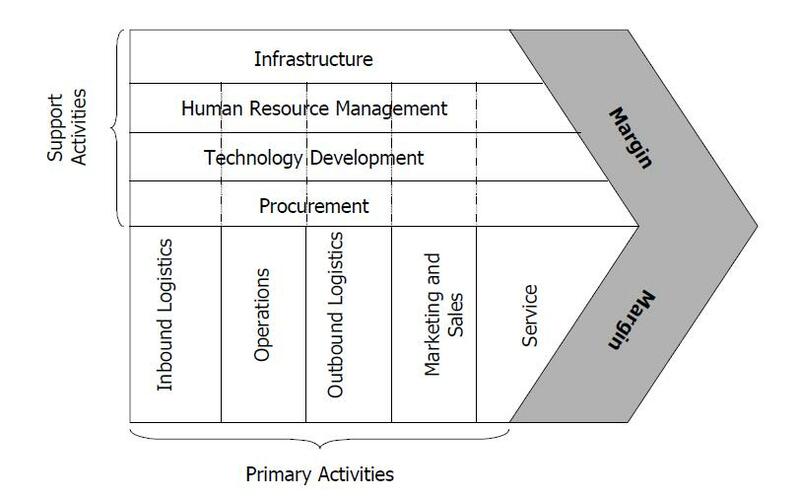 For suppliers, it governs how they optimise their operations to better serve us. And for customers, a brand is both their belief in who we are and a badge they wear that communicates something about who they are. For marketers especially, they are ambassadors for the brand and therefore your marketing strategy must stay loyal to your brand, its values and its vision. Customers should be at the heart of any Marketing Strategy for any organisation. Their characteristics will vary depending on your marketplace, products and services but you ignore them, their needs and their behaviours at your peril. Having a deep understanding of your customer will be at the heart of success of your Marketing Strategy. Talk to customers – As many of them as you can, as often as you can, as early as you can. Don’t just trust your marketing strategy and its effectiveness to what Gartner or CFI may say (that insight is useful though!) or what a marketing agency may say alone. Talk to customers or prospects about their business, or their personal circumstances; what their challenges area and what’s important to them. Put on your customer glasses – Look at all your customer touchpoints from your customers’ perspective. How would you like to receive information about a new product or service? How would you like to be billed and when? Would you expect to be able to get in contact with a business 24/7? Would you like to buy online or have someone call you or make a visit? And so on. You’d be surprised at how many businesses do things for their own convenience and not that of their customers! Data will make or break your Marketing Strategy and execution. Do you know who your customers are? 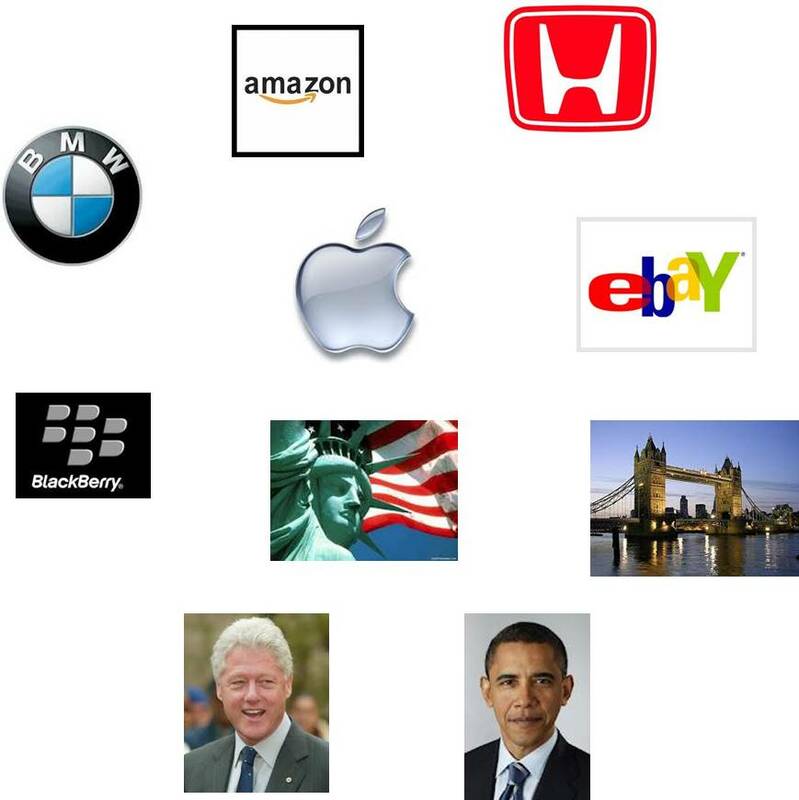 Do you know what they buy from you, when, how often and why? Do you know what they’re saying about you and where? How happy are your customers and are they recommending you to friends, colleagues or their contacts? What products or services would they like to buy from you in the future? I would hope you could answer most of these questions, but many companies struggle. Data collection, quality and analysis should form a key part of any business process and getting a single view of your customers in one place is critical. Even if your business is traditionally offline, you should actively consider what your online presence needs to be in the future. You also need to consider how much you have to invest in your online presence, what technologies you will need to use and also whether you have the skills in-house to achieve what your strategy dictates. The good news is that there are plenty of really good technology providers and online marketing agencies that can help you, as well as plenty of online cheap resources that you can tap into. Focus groups can be an important and really useful tool for getting feedback regarding new products, packaging, names or new services before they are made available to the public. Focus groups can provide invaluable information about the potential market acceptance of the product or service. Focus groups are normally conducted by a trained moderator among a small group of respondents which could be prospective customers, actual customers, a combination of the two as well as cross sections from across your marketplaces. The session is normally conducted in an unstructured and natural way where respondents are free to give views from any aspect. They are normally recorded and attendees are often paid in some way for attendance. Attend the session yourself if you can – purpose-built focus group venues often have secondary rooms where you can view the sessions live. By attending yourself, you not only get the see the session and get feedback immediately, you can tweak questioning and throw in ideas during a break in the session to get more out of them. If you can’t attend, watch the audio / video in full. Sometimes well-meaning agencies / staff will distil feedback that will distort the message coming back from the group. I’ve often found discrepancies in feedback in my experience. Focus groups are often expensive and time-consuming to run, and therefore you may not run many at any one time and therefore the sample size is small. You should be cognisant of this and be careful not jump to conclusions if one or two people like / dislike a particular idea /feature / price point etc. Lastly, DO listen. Even if it was your idea and you ‘know’ it’s a good one, if 80% of your focus group don’t like it….don’t do it! I’ve known some stubborn product managers, business owners and senior managers that didn’t listen, went ahead anyway and reaped the appropriate reward! Consumers have grown immune to big budget advertising, but marketers that expend a bit of time, effort and creativity can generate effective results with inexpensive, small-scale stunts. Social Media is increasingly becoming more important for marketing in organisations of all sizes and segments. Whether for brand awareness, tracking customer perceptions, driving sales leads or simply to have more conversations with your customers Social Media is here to stay for a good time to come. The important thing to decide is what are you going to use it for, why and how and with what resource? In medium to large businesses Internal Marketing becomes much more crucial to the success of achieving your marketing and organisational goals. Effectively engaging employees in your Vision, Strategy and Goals can have a significant positive impact on sales and profitability as well as the emotional well-being of your people. A previous post Communicate or Fail will give you a few pointers. Joined-up marketing is all about recognising the different ways people interact with your brand. It’s also about putting in place collateral at each of these touchpoints which work together to deliver the right level of engagement and – of course – sales. Most marketing campaigns and certainly overall strategies these days are not simply delivered via one marketing channel. A mix of online and offline activity is used to get the most impact for your brand. Ensure that all your front line people understand your marketing plan, activity and messaging. Your front line people need to know that the phones are going to start ringing and what offers and products are being promoted PLUS they need to be trained on what to expect from customers in the way of questions. If you have commissioned sales people, either direct, telesales or via another channel, you need to ensure that they are ‘motivated’ to sell that product or service, both financially and that they know how to sell it. Any Marketing Strategy must lay out and actively monitor and manage key performance indicators (KPI’s). This KPI is the single most important KPI for your marketing team to monitor. It provides an honest assessment of your performance so you know which campaigns are generating revenue. This KPI is closely related to ROI and measures the contribution your marketing efforts make to sales. This KPI emphasises the importance of monitoring the effectiveness of each of your campaigns – top marketers meticulously measure each lead, win, and failure that results from their campaign. To formulate this KPI, you need to establish baseline sales and clearly define which channels your marketing efforts are going to affect. This KPI puts the focus on the effectiveness of your campaign at generating leads for each pound / dollar / euro spent. This helps to keep your marketing activities in perspective. Even if you have a pet project that you are particularly attached to, the numbers will not lie. If a campaign isn’t panning out, you need to be prepared to go back to the drawing board. These types of metrics are important because they provide a benchmark for gauging a campaign’s success through to a sale and help you understand where, if anywhere, you are losing sales. As important as it is to monitor your ability to convert visits to leads, you should also measure what leads turn into wins (and what channel they came through). This will help tell you which channels resonate with people ready to make a purchase. Whilst some social media activity is connected to customer service and brand building, you do need to demonstrate value for the effort and resource you are investing into social media. Capture the growth in reach and engagement (likes, comments, retweets, shares, etc) for all channels each month, then get to the bottom line. I’ve found that as part of building any strategy, it’s useful to openly review successes and failures from the past, not only from within your business or your market, but from other industries. What can you take from these that you can learn and build upon for your strategy. 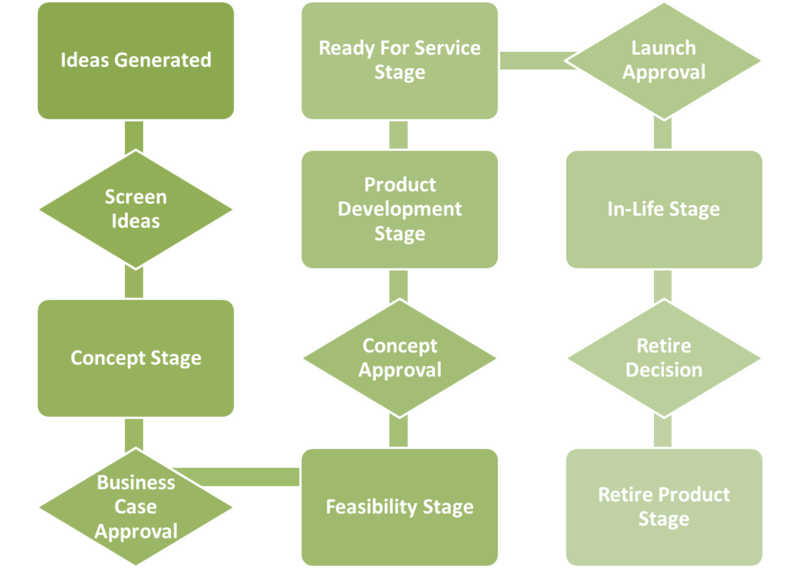 This should be an ongoing process throughout the life-cycle of your strategy anyway, but as a minimum should be done as part of your strategic planning process. I will be covering these areas in much more detail in future Think Oak! posts. Net Promoter Score (NPS) is used by many of today’s top businesses to monitor and manage customer relationships. It is a useful measure of the likelihood of successful WOM (Word of Mouth / Word of Mouse) of your customer base. I would argue that it is only one measure of customer satisfaction that you should be measuring, as by itself does not give you the breadth of detail you’ll need to address any issues that arise. Organic growth means expanding your business and increasing turnover by carrying on doing what you’re doing, rather than through acquisitions (buying other businesses) or through moving into new markets. You might move into a new geographic region or use a new sales channel, but you’re still using your original business model. You don’t force growth with outside investment and the rate of growth is more natural – hence the name organic. As part of your marketing strategy it’s key to understand how you want to grow your business and which growth strategy you’re pursuing. It’s not easy to do more than one at once, without a great deal of 100% focussed resource working on each. An output of your marketing strategy will be your marketing plan. If your strategy is the what, where and why, the plan is the how, who and when! Your marketing plan outlines specific actions that you will take to market your product or service potential customers. These actions work to persuade these potential customers to purchase your products or services. Your marketing plan does not need to be long and it doesn’t have to cost a lot of money to complete. Marketing plans can be a part of your overall business plan or as a singular document. If you think of it as your “roadmap” that will provide you with detailed directions on how to reach your marketing goals. Ensure that each element of the plan has a clear budget, targets for leads, sales and other outcomes as well as a clear timeline of what is to happen when. Understand how your marketing plans and their outcomes match your overall marketing budget, and forecasted revenues and sales. Have some plan B’s and C’s – What will you do if you don’t generate enough leads and therefore sales as part of your plan? Depending on your businesses markets, products and services you may have very different sales cycles. You need to have a clear understanding of these in order to work on your plan and your targets. The traditional boundaries between qualitative and quantitative research are beginning to blur. This is occurring as marketing research moves away from a mass-market orientation into an era of ever more precisely targeted niche markets, particularly business and professional markets. Increased interest in marketing to small niche markets, particularly among business and professional markets has created new opportunities for survey researchers and businesses to include qualitative components to their quantitative research. I would argue that a key part of your marketing strategy, should be to capture both types of data as part of your business as usual activity so that you can continually monitor sentiment to your organisation and its services. Relationship marketing is all about developing long-term relationships with customers so that they provide you with ongoing business. An organisation must meet customer satisfaction expectations consistently to retain and develop long-term trust and relationships with customers. Traditional transactional marketing used to focus on attracting customers for one-time sales rather than repeat business. It takes a lot of work to persuade customers to make their first purchase with you, but if you can persuade customers to give you repeat business it will cost you less money and time…and build Word of Mouth and in today’s world of social media, Word of Mouse. Not all business relationships are created equal however. Some customers generate huge revenues without much work on your part. Others make you feel like you’re squeezing water from a stone, and require enormous nurturing and work to extract even a small amount of value. You will be much more successful when you learn to evaluate different types of business relationships, and then focus effectively on those that offer the highest potential. Marketing is everything that you do to reach and persuade prospects. The sales process is everything that you do to close the sale and get a signed agreement or contract. Both are necessities to the success of a business. You cannot do without either process. 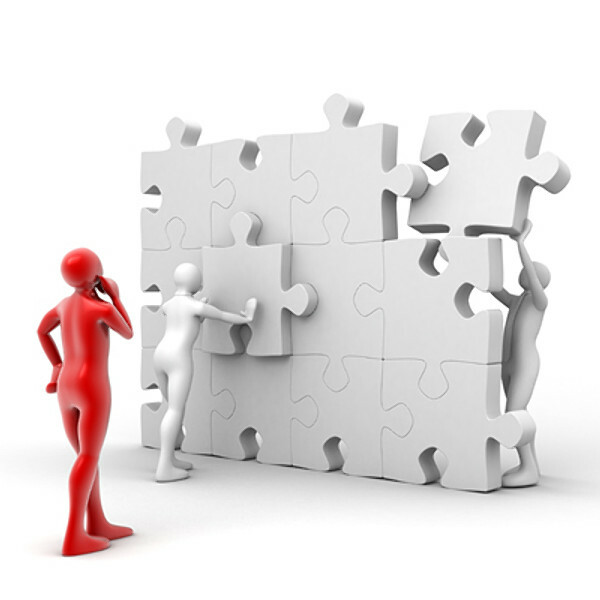 By strategically combining both efforts you will experience a successful amount of business growth. However, by the same token if the efforts are unbalanced it can curtail your growth. I’m referring particularly here where you have telesales or field sales people in your organisation (or outsourced to a third-party). Marketing has increasingly become about creating and maintaining conversations with customers. There has been a shift from talking at people, to talking to people. This just so happens to be sales peoples’ area of expertise! 1. Is there a gap between what’s being marketed and what’s being sold? What is it and why? 2. Are the leads you deliver to the sales team of high enough quality to be converted? 3. What has the Sales team learned after a successful, and unsuccessful campaigns? How can this information better prepare your strategy going forward? 4. What information can marketing provide Sales to better complete a prospective customer profile? 5. Have you created a system to ensure continuous feedback between both sales and marketing? Unless you have an unlimited budget, and you don’t, a key strand of a successful marketing strategy is testing. Before you invest 20% of your marketing budget on putting an advert in big national newspapers for one day in the year, you may want to test whether the types of customers you wish to attract will a) see the advert, b) read the advert, c) do anything about it. By testing your market and customer segments using different creative and media, you will be able to get a better view as to what attracts leads to your organisation and what doesn’t. More importantly you need to find out whether those leads convert to sales. It may be that some content may drive significant volumes of calls into your sales teams, that because of the marketing execution, do not convert to new business. Invest small amounts of your budget into new marketing initiatives to test their effectiveness with your prospects – It’s worth it! Before you can begin to sell your product or service to anyone else, you have to know what differentiates your product / service from that of your competitors. This is especially important when your product or service is similar to those around you. Very few businesses are one-of-a-kind. Just look around you: How many clothing retailers, air conditioning installers, marketing agencies or supermarkets are truly unique? The key to effective selling in this situation is what marketing professionals call a “unique selling proposition” (USP). Unless you can pinpoint what makes your business unique in a world of similar competitors, you cannot target your sales efforts successfully. One way to start finding your USP is to analyse how other companies use their USPs to their advantage. This requires careful analysis of other companies’ marketing messages. If you analyse what they say they sell, not just their product or service characteristics, you can learn a great deal about how companies distinguish themselves from competitors. Put your customer spectacles on again! – What do your customers really want? Now you know your USP, you need to think about how you put that to your prospects – Your Value Proposition. A value proposition is a short statement that tells your prospect why they should buy from your company. It is focused on outcomes. Your value proposition distils all the complexity of the value you provide into something that your prospective customers can easily grasp and remember. This helps spread word-of-mouth marketing and it differentiates you from the competition. Creates interest, so that your prospects ask questions and want to learn more. A good value proposition includes demonstrated results that will catch the attention of decision-makers – results like increased revenues, decreased costs, improved operational efficiency and so on. Business websites still beat social marketing as a more successful digital marketing method, according to a recent Gartner survey. A web-site is still a hugely important part of the marketing mix and marketing strategy for the majority of businesses. You should also consider your web presence for mobile devices also, as recent figures suggest that mobile users are more likely to buy if your site is mobile optimised, and more likely to leave immediately if it’s not. No matter how popular Facebook gets, or how much traffic Pinterest generates, people still turn to Google (and to a lesser degree, Bing,) to find suppliers. Additionally, if you generate a good proportion of your business locally, you really need to step up your local search engine optimisation. Keep your content fresh, informative and above all make it easy to find information and to buy – it may seem obvious, but you’d be amazed at even the largest businesses that don’t refresh their content more than twice a year! Digital marketing is expected to grow significantly in importance over the next couple of years according to Gartner with 75% of respondents said it will be very important one year from now, as opposed to 48% who reported it is very important today. And almost 90% of respondents said it will be very important in two years. Each generation has unique expectations, experiences, generational history, lifestyles, values, and demographics that influence their buying behaviours. Accordingly, many companies are reaching out to multi-generational consumers and trying to understand and gain the attention of these diverse buyers. Multi-generational marketing is the practice of appealing to the unique needs and behaviours of individuals within more than one specific generational group, with a generation being a group of individuals born and living about the same time. Depending on your marketplace, generational considerations should be made as well as demographic or vertical ones! The headlines have been full of business failures over the last 12-24 months. Some very big companies have collapsed because of their lack of marketing vision, strategy and execution. Do not become one of them because of a lack of thought and planning. Invest heavily in your strategy, listen to your customers and learn quickly from executional failures. By Zoom, I mean injecting pace into your marketing strategy and execution. Pace in marketing is more essential today than at any time. 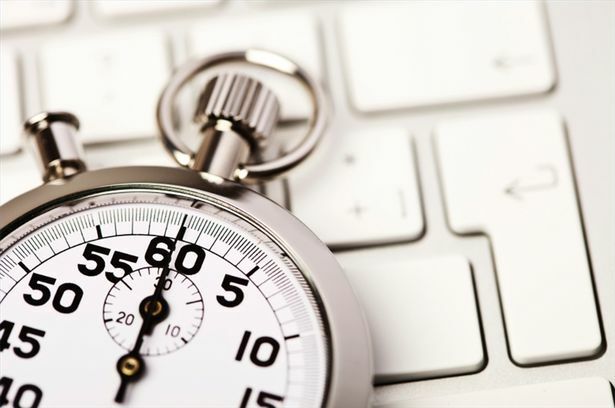 In order to move at the pace of the digital and social era, marketing teams must move at blazing speeds. Technology has created a quantum leap in how fast we receive customer feedback, campaign results, and questions from the CEO. 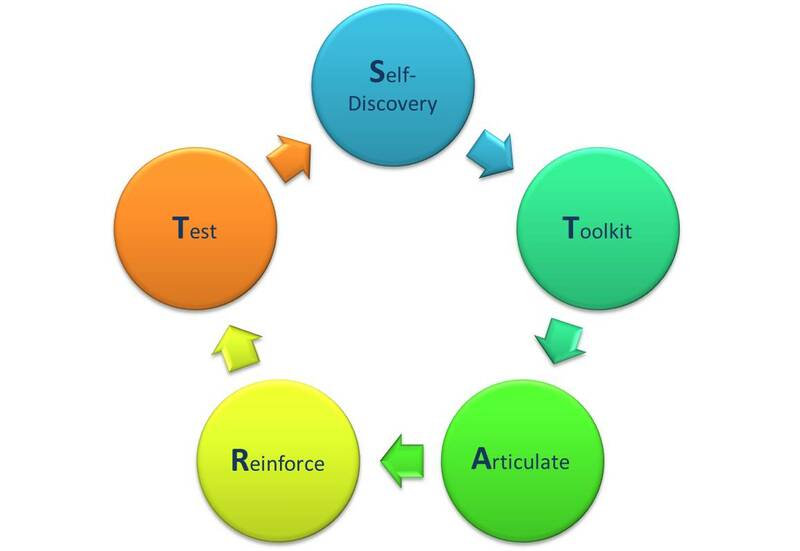 Companies that complete rapid cycles of test, execute, learn, and optimise gain competitive advantage. 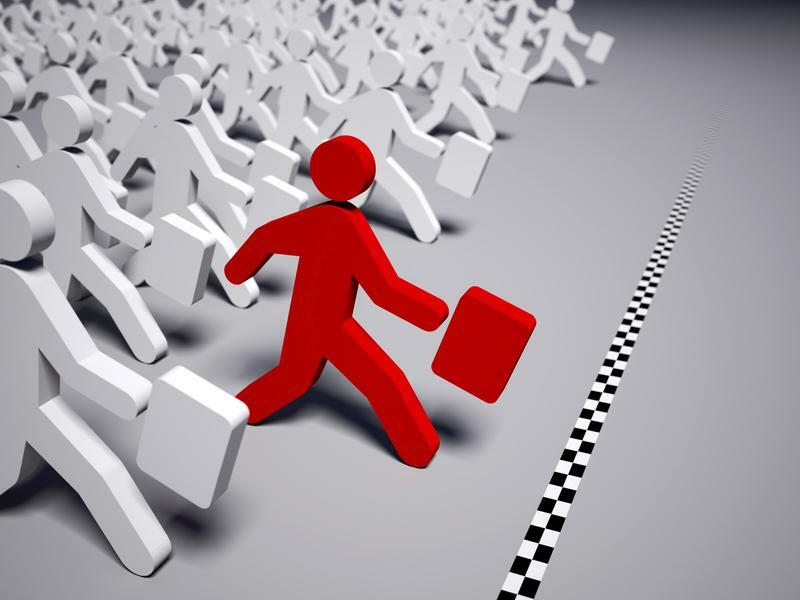 The definition of success is increasingly speed based and you need to keep up! Quite a lengthy post, so hope you managed to reach the end and got something useful from it! As ever, I’d love to hear from you and get feedback on the post. Until next time. Succeeding in today’s competitive business environment requires that your organisation be agile enough to respond quickly to internal and external change. To stay ahead, you have to explore new ways to grow your business – for example, by launching a new product or service or targeting a different marketplace. Speed and focus could become your biggest competitive advantages. For this to succeed, you will need to rapidly align resources and people so as to drive speed, efficiency, and profitability. But how do you achieve this level of organisational agility – and ensure focused execution across your business? The key is driving organisational alignment – an elusive goal for many companies. This requires strong executive alignment, an organisational mind-set that values performance management, and the ability to perform effectively. Once these elements are in place, you need baseline information to devise the right strategies, a clear understanding of interdependencies, and insight into where to deploy personnel and budgets. To drive adoption, you must communicate strategies to employees in ways that they understand and embrace and that are within the context of their roles. You must provide the right tools and incentives to help them execute on a daily basis and in alignment with corporate strategies. However, if your organisation is like most, there is a significant gap between strategy and execution because of breakdowns in one or more of these areas. Why is planning so important and why must it be done in parallel with strategy? From a macro perspective, business today gets done in a global marketplace. Change is occurring at an unprecedented pace. Time and distance continue to become less and less relevant thanks in great part to the explosive growth and convergence of technology and the internet. There was a time when strategic planning was done by only the biggest companies, and those who lead change. Now it is a requirement just to survive. Leaders of business must be looking ahead, anticipating change, and developing a strategy to proactively and successfully navigate through the turbulence created by change. How are you going to get somewhere if you don’t know where you are going? Everyone in an organisation needs to know what you sell or do, who your target customers are, how you compete and in which markets you operate. A good strategy will balance revenue and margin generation with productivity initiatives. Without strategic planning, businesses simply drift, and are always reacting to the pressure of the day. Companies that don’t plan have exponentially higher rates of failure than those that plan and implement well. For many business owners and leaders, creating a vision, company values, and a strategic plan can be a daunting task for reasons like time, energy, commitment and lack of experience. It requires business leaders to accept that yesterday’s success does not ensure success in the future. It requires challenging the status quo, potentially changing behaviours, implementing new procedures, hiring different people, and putting new systems in place in order to deliver on the strategy. Make no mistake; the best plans and ideas without great execution are just plans or ideas, they don’t result in much of anything. Regardless of the size of a company, a strategic plan is the foundation on which all business activities can be connected and “aligned”. b) OMG! – One Magnificent Goal! OMG is THE goal that really stretches you to think differently about how you do business. It’s THE goal that is going to help you transform your business, rather than being satisfied with incremental change. It’s THE goal that’s going to inspire you to do your best work and outshine your competition. 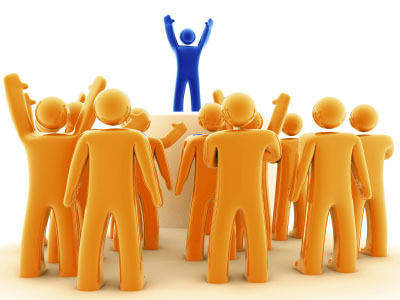 What is THE ONE BIG aspirational idea that your people can really get behind; that will really make them deliver +1%? If your OMG doesn’t meet these criteria you should really think again! If you are serious about reaching your OMG, you have to develop a plan that clearly takes you through milestones or even better, ‘Inch Pebbles’ to meet that OMG. If you don’t, you can’t even expect to get close. You have to do more than you have ever done. You also have to look for new and creative ways, to get to the result. How do I bridge the gap? – How can you most effectively get from where you are now to where you want to go? And in what time-frame? What strategic initiatives are needed to bridge the gap? What are the controls I need to put in place? What monitoring, project management, reporting, and performance management do I need to put in place to achieve these initiatives? What people do I need to ensure I reach my OMG? Will the team you have today be enough to deliver your OMG? Do you need more people or different people? Do you need to change the people (training & development) or change the people (restructure & recruit)? Can I afford to do this? What costs will be incurred in delivering the initiatives that will help you reach your OMG? Over what time frame? What would be the cost of not doing them? What contingencies do you need to put in place along the way if some of your initiatives fail? Answering these questions will help you formulate your plan. 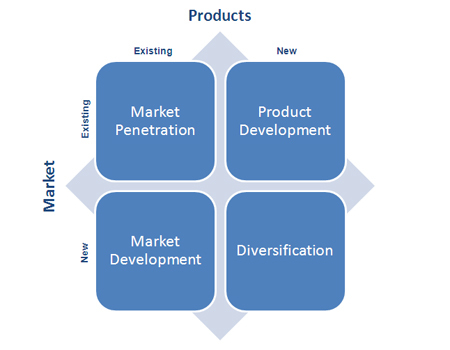 So, you understand the market place and your strategic ambition within it, your OMG. You have a plan to achieve it. 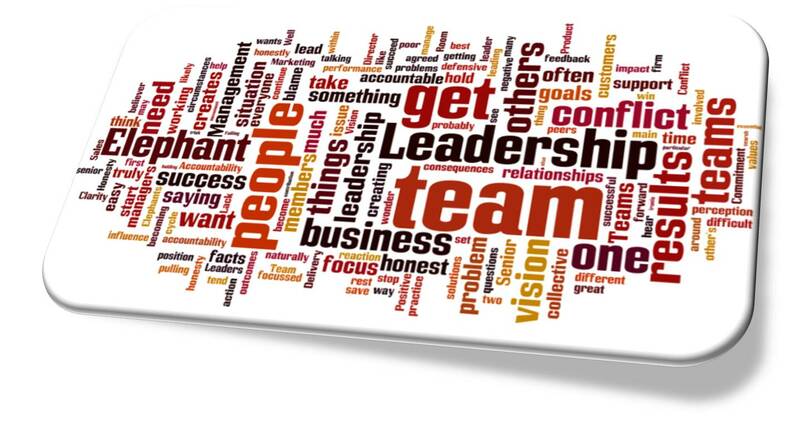 Have you got the right people, organisational structure and culture to deliver it? In Part 2 of The Need for Speed – Driving Pace in Your Organisation, I will be look at the second element of PACE, Alignment. Business is all about measurement. Peter Drucker was an influential writer, management consultant, and self-described “social ecologist” and his quote – “What gets measured gets managed” is never more true than in today’s tough economic climate. The use of Key Performance Indicators (KPIs) are at the heart of most high performing businesses. However, there is often one important KPI missing, and that is Keeping People Inspired. That might sound trite, but without measuring the motivation of your teams in your business on a regular basis, understanding and addressing the root cause of any areas of low morale, you could be setting yourself and your teams up to fail. An easy and cheap way to measure the motivation of your employees is through observation of how enthusiastic they are about arriving at work, interacting with colleagues and engaging in tasks they are given. In addition, the level of motivation among the work force can also be measured by the improvements in performance appraisals, and the quality of work performed. For those people new to the work force, the motivated employees will likely be the ones who demonstrate initiative by asking for additional work or more challenging assignments. For seasoned employees, their motivation is obvious in the ways they offer assistance to new employees, and seek ways to improve company processes and procedures for better efficiency and effectiveness. A more formal and effective way to measure how your team is feeling is to survey them in some way on a regular basis. This could take the form of an online or paper survey. There are numerous examples online to help you shape your survey and ask your managers and team members to input into questions. Alternatively you can use survey agencies to help you create, compile, collate and analyse the results. Surveys should be anonymous and the questions unambiguous to get the best results. It’s important that you understand the results fully and take note of even the smallest shift backwards in team motivation. Play back the results to your team and ask them for feedback on how areas can be improved. The most important element here is to ACT on agreed changes and ACT quickly. Not acting to improve areas for improvement will decrease morale and motivation further in your team. Assuming you’ve got measurements in place and are acting upon the results, how do you personally Keep People Inspired (assuming they were inspired at all in the first place!)? Lead by example – Practice what you preach or don’t preach at all. Be the change you want to see in your business or organisation. If you really want to inspire others to do something, then this should be a big part of your life. You don’t necessarily need to be an expert, but you do need to be passionately involved. Be authentic – Find the courage to keep being yourself. It won’t always be easy. Be passionate – Passion is something you must be willing to express if you want to inspire others. You can gain a lot of influence just by publicly expressing that you are excited and passionate about a topic. Expressive passion is contagious because of the curiosity it stirs in others. You’ll get people wondering why you love what you love so much. Naturally, some of them will take the time necessary to understand what it is about the topic that moves you. Be great at what you do – People watch what you do more than they listen to what you say. Be someone worth emulating. Most people are inspired by GREAT musicians, writers, painters, speakers, entrepreneurs, engineers, mothers, fathers, athletes, etc. There’s only one thing they all have in common: They excel at what they do. Genuinely care about people – Most people can see through a colleague, manager or leader that doesn’t genuinely care about them as individuals. Spend time talking to your team and be genuinely interested in who they are as people. Challenge people to be the best they can be – If people know we expect great things from them, they will often go to great lengths to live up to our expectations. You are letting your people down if you do not try to develop them and help them to meet their potential. Speak up for your people – We are very connected to each other in various ways, the most important of which is our thoughts. Out of fear, or shyness, lots of people hesitate to articulate their thoughts. If you take the risk and say the things others are holding back, you become the glue that brings people together. Make people feel good about themselves – People will rarely remember what you did, but they will always remember how you made them feel. Start noticing what you like about others and tell them. Go out of your way to personally acknowledge and complement the people who have gone out of their way to excel. Share your Lessons Learned – When you can, be a resource to those around you. Mine the experiences of your life and share the lessons you have learned in your career. Be vulnerable. Be willing to share your failures as well as your successes. Keep your promises – If you say you’re going to do something, DO IT! Listen intently to what others say (and also to what they don’t say) – Make people feel important, and inspire them by showing them that they are. Communicate, communicate, and communicate clearly – Keeping things to yourself does not inspire. Share your vision and ideas often with those around you. 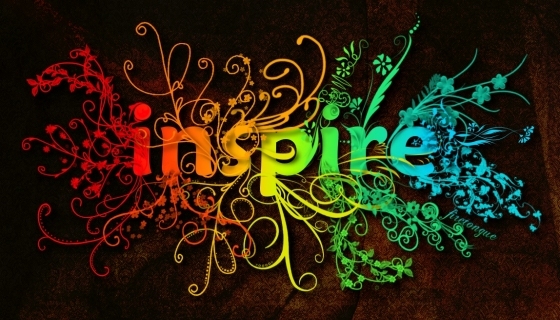 I’d love to hear your stories of how you’ve been inspired and what motivates you? In the fifth part in the series of The Brand New, Brand You, I will be covering the fourth step in the START process in Brand New, Brand You, Reinforce. Now that you have started to establish the Brand New Brand You, it is important that you continually reinforce your personal brand. In this post I’ll focus on some key pointers that will keep Brand You fresh and at the front of people’s minds. Demonstrating a ‘Can Do’ attitude – People that embrace change initiatives, find ways around problems, take ownership of tasks through to conclusion and are passionate about their job make a difference and are invaluable to high performing teams. Being a self-starter – People that spot an opportunity to fix a problem, come up with the solution and implement it effectively drive continuous improvement helping their team be more effective and / or efficient. Continuously looking at ways to improve themselves – People that consistently ask questions with a view to improving themselves, ask to be involved in key initiatives and drive their own personal development planning are often ‘stars’ of the future. Always thinking of their customer’s needs – People that can think beyond the specific task and ask themselves about why they are doing it in a certain way and putting themselves in their customer’s shoes. By doing this they may change or enhance the delivery or even change a process for the better. Helping others – People that continually support their colleagues in delivery not only help their teams achieve but build a strong reputation with their peers and help build strong professional relationships. Putting themselves forward for new projects – People that work beyond their job descriptions and volunteer for those important projects that often come up and just need to be done. Being confident in communicating with your peers, managers, customers or your network is a very important part of reinforcing Brand You. It’s not something that comes naturally for everyone, myself included, but is something you should practice at every opportunity. Try to put yourself into situations that require you to speak about your views and passions; whether that be key meetings internally or speaking at external meetings or events and with new people you bring into your network. Remember to be consistent with your brand values and your vision statement. Plan in advance to ensure that you make the most of the opportunity and that you present yourself effectively. Who are the key people who could influence your career for the better? Who could be an advocate for the Brand New Brand You? Understanding the answers to these two questions will help you understand where you need to exert effort in reinforcing Brand You. As long as you have identified the right people, building strong relationships with these individuals will have a positive impact on your career. Below I’ve highlighted some areas that you may want to spend some time thinking about before you engage with stakeholders. a) Be patient. Building strong relationships and influence takes time and could take months or longer. b) Be respectful. It is highly likely that the stakeholders you have identified are more senior than you and are likely to be extremely busy people. Be respectful of their time and position when making any requests of them. c) Be committed to the stakeholders’ success. By gaining an understanding of what is important to them professionally, you can then potentially support them in achievement of their objectives. d) Be able to put yourself in their ‘Shoes’. Often, concerns will not be vocalised, particularly if there’s not yet a degree of trust in the relationship. Try and see the world from your stakeholders’ perspective and anticipate how a particular stakeholder may respond to what you have to say. By addressing concerns from their perspective before they raise them you will start to build trust and will help you progress your ideas or proposals. e) DELIVER (No apologies for mentioning ‘Deliver’ twice in this post!). Whatever you agree to do for or with your stakeholders, make sure you deliver against your promises. Nothing will hurt brand you more than non-delivery. A key way of building your network and Brand You is to join professional organisations. It is better to belong to fewer organisations and take an active role (board position or volunteer role) than to belong to many with superficial connections to the membership. Truly participating allows you to get to know people and build strong, enduring relationships. If there isn’t a professional organisation that feels right to you, create one. It can be a physical organization or a virtual one. Being the founder of the organisation gives you instant credibility with your entire membership and an opportunity to define and evolve it. And with the opportunity to build private social networking groups on the web, it’s as easy as it is valuable. Volunteering is a great way to build professional relationships while contributing to the community. Take a volunteer position that allows you to use your strengths or develop new skills. Your network will grow along with your sense of fulfilment and accomplishment. In Part 4 of this series, I talked about contributing to industry forums, writing blogs or contributing to other blogs to create an online presence for the Brand New Brand You. Keep it up! Building an online following takes time and effort, but if you create strong content, it will start to build your credibility with your network and drive growth of your network. To be truly successful building Brand You, you need to be continuously making new connections while at the same time nurturing the relationships you have. Remember, if you take the attitude that it is about you, you will be less successful in retaining your network. But if you treat your network as a group of people you serve and support, your experience will be much more positive and you will attract what you need to be successful. That concludes the fourth step in START. Good luck with Reinforcing Brand New, Brand You – let me know you get on! In the last post in the series of The Brand New, Brand You, I will be covering the fifth and final step in the START process, Test. The make-up and nature of teams have changed significantly in recent years. Organisations have become more distributed across geography and across industries. Closer relationships between people inside an organisation and those previously considered outside (customers, suppliers, partners and other stakeholders) have become more important. Organisations have discovered the value of collaborative work and with the advent of new tools and technology, the ability to work more efficiently, effectively and more competitively is a reality. There is a new emphasis on knowledge management – harvesting the learning of the experience of members of the organisation so that it is available to the whole organisation, quickly and easily. Used effectively across a business this knowledge and information flow can add a real competitive advantage to your business and create a better experience for customers. All these changes in organisations over the last decade have changed how teams are formed and how they operate. Although the technology that supports these new teams gets most of the attention when we talk about virtual teams, it’s really the changes in the nature of teams – not their use of technology – that creates new challenges for team managers and members. Most “virtual” teams operate in multiple modes including having face-to-face meetings when possible. Managing a virtual team means managing the whole spectrum of communication strategies and project management techniques as well as human and social processes in ways that support the team. 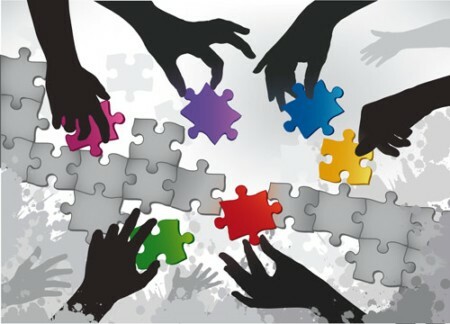 Managers of small and large organisations have known the importance of communication and facilitation for successful team process, but few people have really grappled with the issues of trying to manage teams that are connected by distance in space and time. New technology requires us to rethink these dynamics because we don’t have the option to use familiar approaches. It gives us an opening to change the way we manage the people and work process in general. The critical part of the question, “How can we manage teams operating at a distance?” is really “How do we effectively support the collaborative work of teams? Managing virtual teams is not about taking our old management techniques and transposing them for delivery using new media. Rather, it’s about expanding our available tools to create new dynamics aligned with the best thinking about supporting collaborative work. Different kinds of environments can support high quality interaction. What matters is how you use them. Collaboration happens in an ongoing, no-boundaries way. When the communication process breaks down, evaluate our management and interaction strategies, not just the technical tool. Virtual teams form and share knowledge on the basis of information pull from individual members, not a centralized push. Knowledge based strategies must not be centred around collecting and disseminating information but rather on creating a mechanism for practitioners to reach out and communicate to other practitioners. The goal is to find ways that support the transformation of individuals’ personal knowledge into organisational knowledge. That goal requires designing environments where all the individuals feel comfortable (and have incentives) to share what they know. It’s important that this activity not feel like a burdensome “overhead” task, which is why doing it in the process of what feels like informal conversation works well. In order to have productive conversations among members of virtual teams, you need to create some kind of common cognitive ground for the group. Even teams from the same organisation can have a hard time developing conversations deep enough to be significant without some kind of specific context as a beginning frame. Contexts can be created by guest speakers, training courses, requests for input to a specific project/question or special events. Different communication technologies can be used to support different purposes and participants. New technologies are being launched every day to enhance the way we work. At KC we use and sell Microsoft Lync integrated with our Intranet, MS Outlook and SharePoint together with Salesforce.com and integrated tools. These tools not only have transformed the way we work and collaborate but have saved huge amounts on travel and hotel bills! Too often, technology is introduced to organisations as a solution looking for a problem. One of the primary reasons leaders set up virtual teams is to facilitate change in their organisation. The driver for real organisational change is organisational learning. Today’s organisation interested in tomorrow’s success will run on its ability to create and use knowledge, its ability to learn. Until recently, organisations relied on large amounts of explicit knowledge available to them through huge databases. Quantifiable facts, formulas, and procedures were, and still are, available to anyone in most organisations. In contrast, today’s “knowledge” or learning organisations create environments where experiential knowledge is shared through dialogue and interaction. Communication technologies are needed which support this interaction. For a business or a non-profit institution to become a learning organisation, a different environment needs to be created. This environment should stimulate and nurture the complex network of interpersonal relationships and interactions that are a part of an effective management communications and decision-making process. People must be allowed to make choices about whom they need to communicate with without regard to traditional organisational boundaries, distance and time. 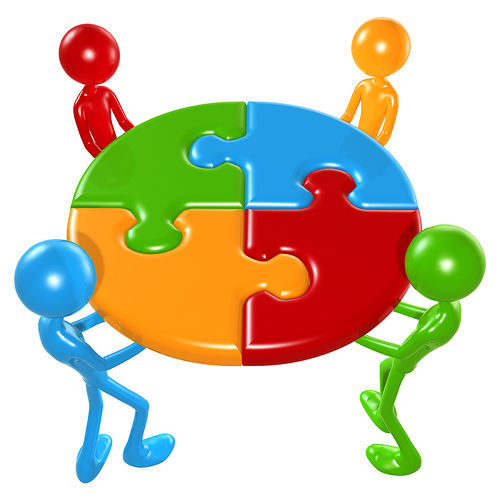 A collaboration infrastructure provides the advantage and flexibility of forming and reforming groups and teams as requirements develop and change. This entire process must be facilitated rather than controlled by providing easy ways for team members to be introduced to each other. Virtual teams are fast becoming more the rule than the exception in organisations. It’s time to stop thinking of them as a special case and start developing strategies for dealing with the new challenges they create. Virtual teams need the same things all teams need – a clear vision and mission, an explicit statement of roles and responsibilities, communications options which serve its different needs, opportunities to learn and change direction as well as clear measurement.